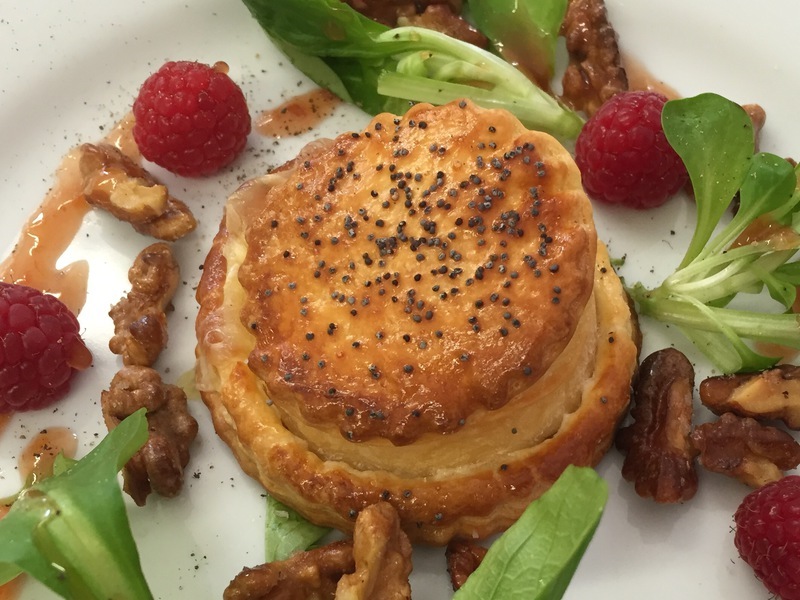 Enjoy one-on-one tuition with your own personal chef and tutor, Ian Fisk, learning how to prepare and create authentic regional French dishes from locally sourced ingredients. Experience the wonderful array of fresh produce in the local markets with chef Ian who will explain the regional specialities and introduce you to the stall holders who readily share their product knowledge. Yours for the day (or half day), your own professional chef and tutor, Ian, owner of Le Chèvrefeuille and CookDordogne. Ian will share his love and passion of the region, for food and cooking which drove him to settle his family in the Dordogne. STAY ON-SITE AT THE EXQUISITE AWARD WINNING LE CHEVREFEUILLE B&B SUITES AND SELF CATERING GITE ACCOMMODATION. ENHANCE YOUR REGIONAL FRENCH CUISINE EXPERIENCE! For the ultimate, all-round provincial French experience, Ian and Sara invite you to stay at their six times award winning Perigordian guesthouse and gite accommodation, Le Chevrefeuille. Le Chevrefeuille offers a choice of bed and breakfast suites in the exquisite guesthouse and self catering options in the stunning one and two bedroom gites. Staying on site while learning to CookDordogne only serves to enhance your regional French cuisine experience. For further information about accommodation options go to the accommodation tab. Ian and Sara were the perfect hosts for our day of cooking school. From the visit to the local market to preparing and eating our mouth watering food the day was well beyond our expectations. Ian is a natural teacher and was keen to pass on the knowledge gained as a chef. We both left left with that warm feeling of having experienced a great day. 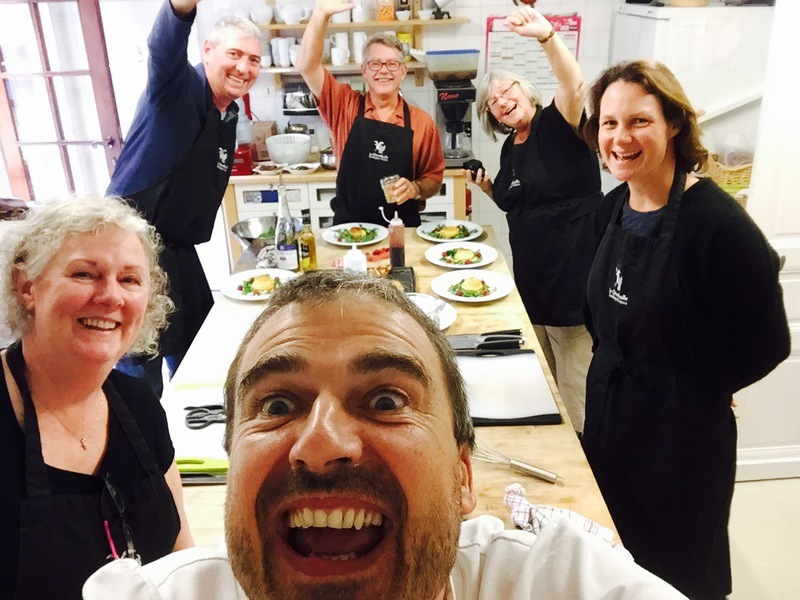 Doing the cooking course with Ian was one of the highlights of my stay in The Dordogne. Ian is a natural teacher and he knows how to cook as well. Would recommend this to anyone. Could not recommend this highly enough. 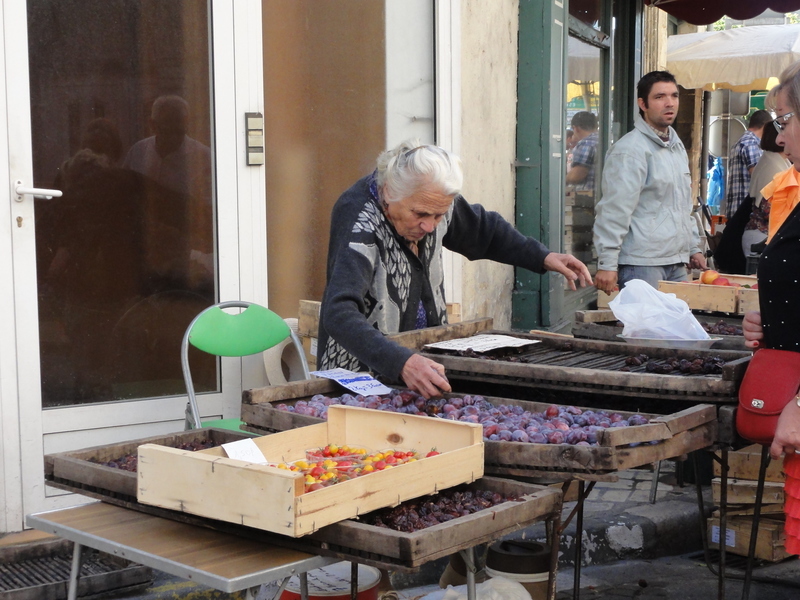 If you’re a foodie, this is a must if you’re visiting the Dordogne. Ian and Sara are a lovely couple. Ian is an extremely knowledgeable chef and has lots of passion for local produce and cuisine. This is a great way not only to improve on your cooking skills, but to learn how to cook some of the local dishes. We returned to Le Chevrefeuille for a week in September 2016. This time we were travelling with my brother & sister in law (so, 4 adults in total). As with every time we visit Le Chevrefeuille, our stay was fantastic! My brother & sister in law (who had travelled from Australia) loved it and are planning to return as soon as they can with their three children. Quiet, relaxing, classic country B&B. Excellent hosts who gave us many suggestions for places to eat and sights to see. Perfect place for our exploration of the area. Lovely area to walk and explore the countryside from the B&B. Highly recommended! What a wonderful discovery, a beautiful property in a wonderful location with enthusiastic, helpful and friendly proprietors that are only too keen to ensure you have a great stay but respectful of your privacy. Ian and Sarah run this smart superior B & B in a French style, relaxed but efficient and are enthusiastic proprietors of everything that is good about the Dordogne.